You have built close relationships and trust with your clients. We will provide your clients a variety of online web services that you can earn a commission on. This will save you from having to hire an entire team of professionals with uber techie languages that you don’t understand. 24/7 and 365 days a year online technical support. As A Reseller, Can I Get A Discount For My Own Web Hosting or SEO Subscription Accounts? We have decided not to allow Resellers from receiving credit for their own web hosting or SEO subscription accounts. This is to limit abuse of the Reseller program, which is designed to be a tool for referring new Subscribers to us. 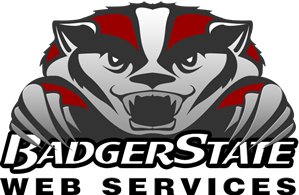 However, you can use existing credit from your Reseller account to purchase hosting, SEO subscriptions or other web services that Badger State Web Services offers..
What If I Don't Refer Anyone To You Within A 12 Month Period? We require you to be an active participant in the Reseller program. If there is no activity on your account for a 12 month period, we will assume that you are no longer interested in referring Subscribers to us and your account will be closed. If you are concerned your account will be closed, please contact us and we will ensure it remains open and active. I Already Have A Hosting Account With You. Can I Still Become A Reseller? You will be paid whenever you make a request for payment. Please do not request payment more often than once per month. This is to decrease the workload on our Accounts Department. If you have an EIN, you must issue a Tax Invoice for commission payable. Can I Get Paid Cash? No sorry. For tax purposes all payments must be accounted for. Payments are made via Check only. Checks are issued in US Dollars. Do I Need To Have A Business? No, you don’t need to have a business to become a Reseller. For tax purposes , we would prefer you to have a business or a personal EIN.